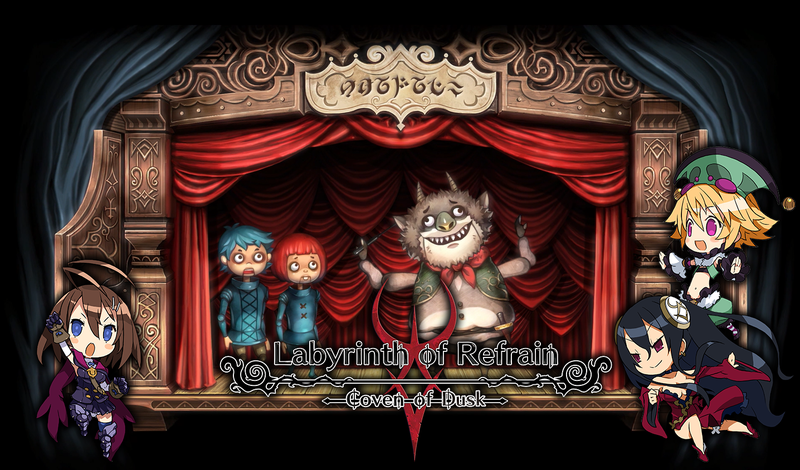 In Labyrinth of Refrain: Coven of Dusk, its story is shown to be told via Dronya’s puppetry, where it is a world of intrigue and dark ages-styled storytelling. The labyrinth itself is connected to the tale of two brothers, enslaved by a lazy and sadistic demon. The demon itself was a cursed monster, where it would torture the brothers to further satisfy its desires. One day, the brothers attempted to escape, only to be caught and brutally punished. This story is shown via uncanny and goofy puppets, for the brothers and demon respectively. While the brothers are more akin to wooden puppets and have the odd limbs and faces of such a puppet, the demon itself is far more goofy looking, a stark contrast in comparison. The game itself is set to release on September 18th, 2918 for PS4 and Switch for North America. Europe has a release date of September 21st, 2018. The trailer can be seen down below. Labyrinth of Refrain: Coven of Dusk arrives on PS4 and Nintendo Switch September 18, 2018 in North America and September 21, 2018 in Europe!